All electrical appliances have an effective lifespan and computers are no different. Computers can expectantly fail after years of service or they may become too slow to keep doing the job. Hardware failures and IT issues can cost big not just in physical costs but also in areas such as productivity losses and unintended downtime. Improving productivity, avoiding unnecessary downtime and lowering costs are the driving factors in which many modern businesses now choose to adopt IT life cycles. The IT life cycle aims to make IT budgets predictable, manageable and reduce costs across the business. The process starts with a thorough plan outlining the demands of the business. By looking at how and where equipment is deployed, we can make the most out of the resources throughout the business. One of the first steps is to reduce equipment duplication and under use within the firm. With this approach, equipment can be scheduled for upgrade or replacement at predictable intervals based on usage and time frames. With a plan in place, the focus of the life cycle can shift to resource procurement. As equipment approaches the end of its lifespan it can be brought in for replacement, repair and recycling. Old hardware and components can often be reused and recycled in new roles as they are decommissioned from their initial role. By maintaining as many usable parts as possible we help lower costs of keeping efficient hardware in the front line business environment. This approach helps a huge number of businesses keep modern and up to date hardware in crucial roles where it can serve the biggest impact for the business. 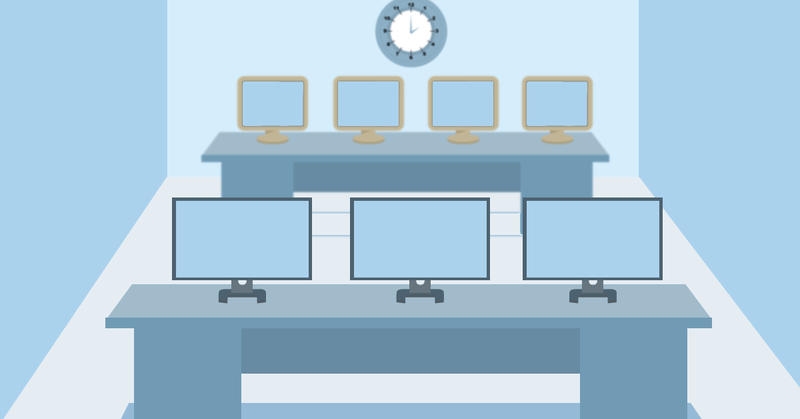 Computers in busy business environments will always need replacement over time. It is important to plan and prepare for this time to avoid unplanned downtime, unbudgeted costs and losses in productivity. Doing so, helps to plan a regular, predictable IT budget and you are also less prone to sudden financial spikes. The IT life cycle additionally allows your business to stay on top of software licensing, upgrades and Operating System changes. By moving old and outdated systems from your network, potential security issues are dramatically reduced. Additional financial security comes from the manufacturers hardware warranties for businesses that adopt the life cycle. As new equipment is purchased, manufacturer warranties provide guarantees about the handling of any hardware issues. Depending on the length of your life cycle this warranty may cover all, or most of the duration of the equipment’s intended life. The extra coverage provides an extra layer of financial protection from unpredictable IT issues. Tracking the life cycle of your own firm provides invaluable metrics about how equipment use and deployment within your own production environment occurs. Armed with this unique knowledge, better purchasing decisions can be made to equip your business with the best tools needed for your success. Money can be better implemented by getting the important high-value resources to the places in the businesses that need it most – the ones where they will generate the most value for the firm. A key factor in getting the most from your firm’s IT is making sure the resources put into the company do not sit idly on a shelf or are not used to their full potential. This insight gained from metrics related to the life cycle ensure that management stay fully informed. A complete picture puts the business management team back in control of its IT by allowing them to choose the best, most efficient and cost-effective time to replace critical systems. Firms can plan replacements and servicing outside of busy periods so they can operate without interruption and know their IT is fully serviced when they need it most. With a planned, fully prepared life cycle, IT budgets can be prepared in detail for years to come and everything from computer systems to printers can be upgraded on a tightly controlled schedule. Businesses all over the world have adopted IT life cycles as a way to eliminate unwanted surprises, lessen productivity losses and make the most out of IT budgets. Implementing your own IT life cycle can greatly improve the way your business operates and provide an advantage over your competitors. If you are in Adelaide, South Australia, talk to us about how you currently do IT planning and we will see if we can make the life cycle work for you. Give us a call on 08 8326 4364 or via email at support@dpcomputing.com.au. This entry was posted in Hardware, Managed IT, Software, Support and tagged adelaide, it lifecycle, life cycle, lifespan, planning, south australia by David Perkovic. Bookmark the permalink.